The right tool for anyone who has mastered their craft - since 1877! CLAUSS is not just the brand for the discerning handyman or the professional craftsman. Quality products by CLAUSS are at home wherever there is a job to do, day in and day out, and a reliable tool is indispensable. Our cutlery and tools are made from superior grade, fully hardened steel, which guarantees lasting sharpness and a smooth cut, even after the most intensive use. 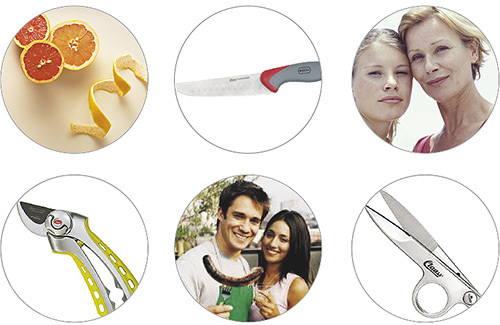 Even after repeated sharpening, CLAUSS products remain your reliable companion in the home and garden, in commerce and industry, in the kitchen and in food production. Our understanding of the traditional CLAUSS brand is our commitment to future generations: Anyone who has mastered his craft knows what distinguishes a truly good product - and will always remain loyal to it.